MUNDOlogia – the largest festival for photography and travel presentations in Europe – offers various presentations throughout the year. 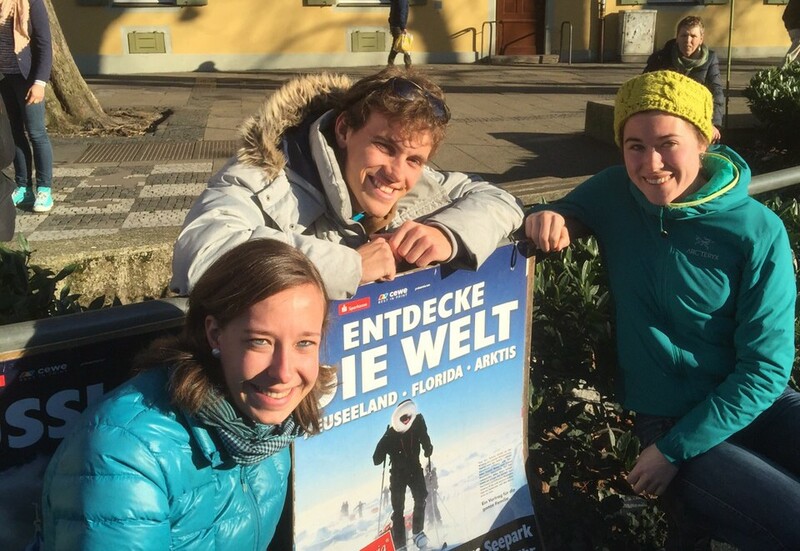 After a successful presentation during the festival last year, young explorers Saskia Bauer, Simon Straetker and Jule Holland got the chance to do another talk last weekend in front of an even larger audience. It was not only the pictures from the North Pole, New Zealand and Florida that people were interested in, but especially about stories from the projects in South Africa and Serbia we received a great feedback from the visitors that had come to Freiburg, Germany. Even after the presentation many people stayed at the venue asking questions. In particular one lady made me smile a lot when she came over and said: “It is so inspiring to see that there is young people who believe that they can change the world and make a difference. I like how you do not party but help other people who are in need!”.